For anyone who's listened to the previous two Abandoned Places albums, the sound of this one will not come as a surprise. It does explore some new and interesting elements, yet it is still very much a descent into the darkest, grimiest, and deepest places of the crypt. Like the previous releases, it starts out with a track that does grasp the listener on its own. But, also as the previous releases have been structured, the descent into the middle of the album requires more of the listener, as it becomes even slower and more unpredictable, allowing the unnerving environment of a monster-filled catacomb to take form in the mind's eye. The best approach to an Abandoned Places album would be to see it as a challenge, rather than as an aesthetic treat; think of it as a genuine plunge into the blackness, where one has to be vigilant against the ghouls and vampires which lurk among those shadows. That, I feel, is how to best appreciate this artist's work, as something which one confronts and attempts to conquer, very much like the RPG notion of dungeons. When it comes to the textures and timbres of the synths, I still feel, even though these are quite familiar to Abandoned Places' previous efforts, that they're some of the best in the genre. There is undoubtedly a very lush, nostalgic 90's quality to the sounds, bringing one back to the time of the early CRPGS. Though the artist has yet to do a cover song with this project (at least that I know of), Abandoned Places still seems to have one of the strongest connections to video game music while at the same time being undoubtedly dungeon synth. It is a strange quality in the music, that even though it brings to mind images of pixilated, cubical hallways, it is that same "cheesiness" that seems to give it an even further level of menace. Somehow the cheapness and vague familiarity of these thin synths seem to make the music far more frightening than had the compositions been done with modern and professional tones. But of course tension is not the only goal of this material; there are some quite thrilling and relatively catchy moments, contrasting against the bleak wandering. The first track, as I already mentioned, does this, as well as "Maramon," which sounds more like a desperate, frantic fleeing from an abyss that seems to be creeping further toward the explorer, the poor soul hopelessly attempting to navigate the endless labyrinth. 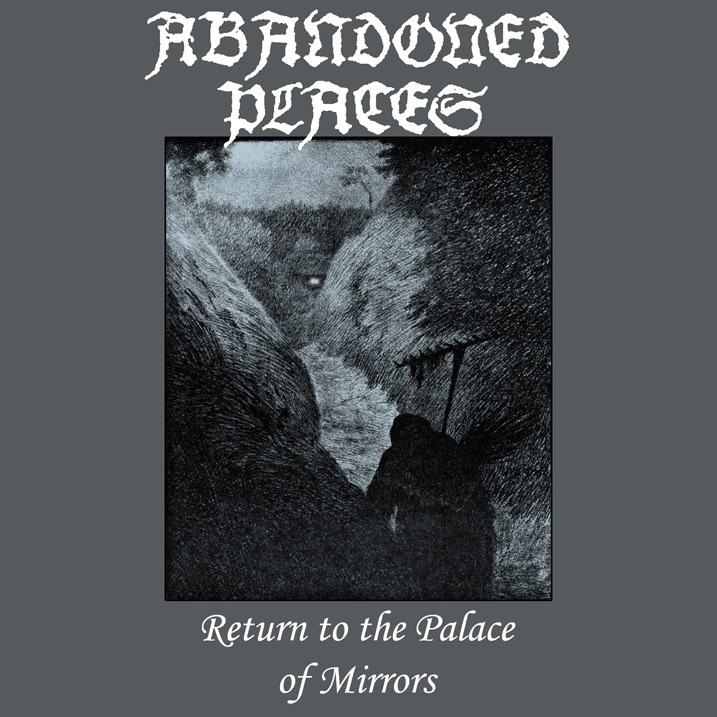 Though I did not review the second Abandoned Places album, and am not sure how much I enjoy any of them, I still strangely find myself coming back to all of them quite regularly. The fascination is difficult to explain, though these are certainly the kinds of albums where I feel as if every time I listen I seem to see them in a slightly different way. I suppose it would be that way with any dissonantly challenging work, and I'm not sure whether I'll ever understand them to the point that there isn't a moment that is draining and unsettling, though I don't suppose that was ever the intent. The definite highlight of this album, for me, is the final track. It stretches on nearly fifteen minutes, breaking the usual Abandoned Places form, and in that space it seems to avoid repetition in a way far better than any of the other tracks. Even though it is bleak and dissonant, one feels that they are trudging onward to some eventual goal, through the endless blackness of tombs to some hopeful end. I personally feel that a full-length of similar material would manage to explore that deep unnerving despair without seeming to be such an endless, forlorn circle. My recommendation, if you have never listened to Abandoned Places, is to start with this track, and if you return to this world, sanity intact and with new insights on the abyss, then perhaps you have what it takes to descend into the deeper dark of Abandoned Places. I'm taking a listen, pretty enjoyable so far as I've been listening to a lot of Castlevania music recently that resembles this.